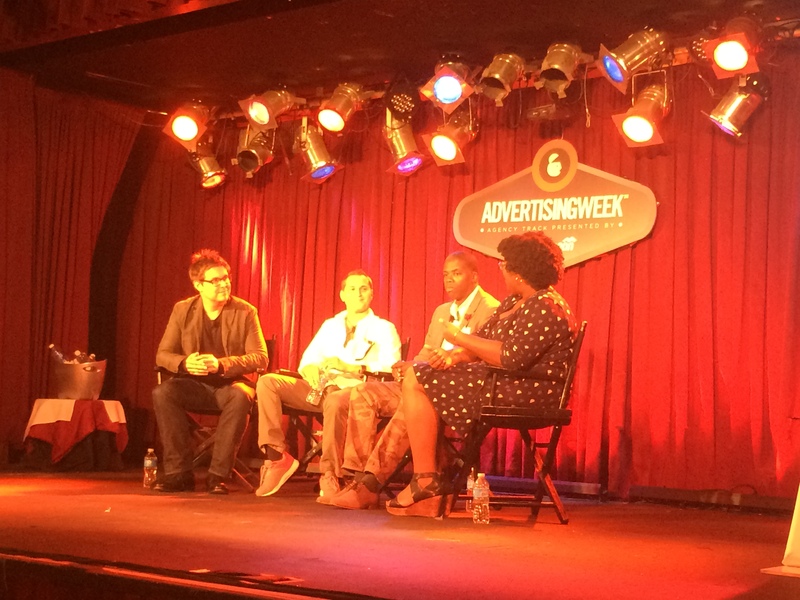 As a part of Advertising Week 2014, the 4A’s hosted its Competitive Edge series on Sept. 29, bringing together top agency and brand executives to debate the value of operating at the intersection of cultural intelligence and business innovation. The session kicked off with a video clip from the new HBO show, “Last Week Tonight,” in which anchorman John Oliver explored recent examples of brands’ Twitter #fails. From the DiGiorno mixup with the trending #WhyIStayed hashtag to various brands tweeting misguided 9/11 content, the clip raised some very interesting points about when it is the right time for a brand to engage in real-time social practices. Terry Young, CEO/Founder of ad newsroom sparks&honey, and his colleague Imari Oliver, VP, Director of Creative Strategy, and good friend, David Oksman, U.S. Marketing Director at Reebok, spoke about best practices for brands that want to operate at the “speed of culture” in a session entitled, Leading Culture and Collaboration. Why do so many brands struggle with creating authentic social conversations? According to Young, brands need to identify places, trends, dialogue and topics that they want to be attached to as a first step. When thinking about everything that is happening in social – it can seem overwhelming and random, so brands need to sort through everything and zero in on the select areas of opportunities, he said. Moving at the “speed of culture” isn’t an easy feat but it’s essential for brands that want to be successful in today’s world. Oksman’s advice: Brands need to be strategic rather than opportunistic. Just like an athlete, brands can develop muscle memory when it comes to identifying trends/cultural elements to attach to – that is what drives nimbleness, Oksman said. Culture is the pulse of the social world and there are two types – “slow culture” and “fast culture,” according to Young. 3D printing, autonomous cars, and the sharing economy are examples of “slow culture” – these affect companies and brands over a long term. Memes and viral videos though are examples of “fast culture” that impacts culture and consumers in the short term. What makes sense for their brand? Which aspects of real-time trends and culture are a fit with the brand’s core messaging and essence? Does the brand want to enter an existing conversation or create a new one? Because isn’t creating conversations what it’s all about?